If you’re like me, the film version of Anakin Skywalker never quite lived up to his legendary status referred to in the original Star Wars movies. He was supposedly a leader of men, a great Jedi, and a cunning warrior. The three prequel movies failed to give us an opportunity to know the character in that regard as he aged significantly from movie to movie to movie. Perhaps due to necessity, the three prequels rushed his entire story from boyhood to fallen hero, and most of us couldn’t connect enough with him at an emotional level to care. However, that’s not to say the version of Anakin Skywalker we need does not exist. 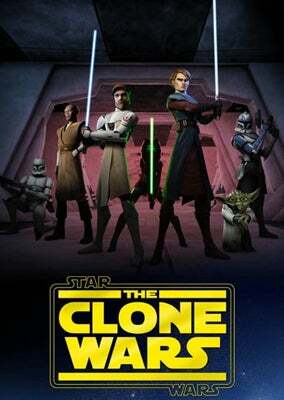 Look no further than the entire cartoon series entitled The Clone Wars. This series ran from 2008 to 2015 for a total of six seasons. Not only does it allow you to understand the full scope of the epic Clone Wars, but it also dives deeply into Anakin’s journey. Time after time, Anakin saves the day through cleverness, bravery, recklessness, and yes, sometimes even anger. This is a charismatic, lovable Anakin that we truly believe could inspire legends. It’s funny, because I just completed the entire series and it has retroactively made me think higher of the prequels! I’m pretty sure that’s now how it’s supposed to work! Part of what allows us to identify and adore Anakin is his relationship to Obi-Wan Kenobi. No longer does it feel as though Obi-Wan is putting up with a spoiled child. In The Clone Wars cartoon series, these two men are partners — even brothers. Also, we get to know several of the actual Clone Troopers and bond with them in a way that the movies never even attempted. Their turn is all the more tragic because in the carton series, they are the epitome of loyalty, courageousness, and respect. Again, the cartoon has made me change my mind about the quality of the prequels, even thought the prequels came before the cartoon! Anakin’s endearing relationship to these troopers is also part of his appeal. He loves his soldiers, and they love him in return. Both would sacrifice in an instant for the other. and often do. Finally, perhaps the greatest boon to Anakin’s character is the instantly likable Ahsoka Tano. Ahsoka is Anakin’s Padawan. Yes, there is a reason she is not mentioned in any of the movies, and yes, they do a wonderful job addressing it. Trust me when I tell you by the end of the series she will be one of your favorite Star Wars characters. Her story and Anakin’s story are obviously intertwined, and what happens to them plays a tremendous role in Anakin’s downfall. We don’t realize in Revenge of the Sith how much Anakin hurts, we don’t realize how much disillusionment he has with the Jedi Order, nor do we realize how angry he is. Ahsoka’s fate is instrumental to all three of these details. This cartoon features an Anakin who is commanding, caring, funny, bold, and smart. This is an Anakin you believe may be the greatest of the Jedi. It’s an Anakin who makes you feel inspired. It’s an Anakin that is all the more tragic, for you know he will fall, yet you hope somehow he will avoid an inescapable fate. Thanks to this cartoon, I no longer think of Anakin Skywalker as a wooden, whiny character. It delivered the Anakin Skywalker of legend. This entry was posted in Opinions/Editorials and tagged anakin skywalker, jedi, the clone wars.